Mudrek has played in the elite Australian levels across several clubs, including; St George City, Sutherland Sharks, APIA Leichhardt Tigers, Inter Lions, Hurstville Minatours & Belmore United. He has also played in the NSW Futsal Premier League for St George City & Botany Bay Pirates. Mudrek has had the opportunity to train and be invited back to the Iraqi Olympic National Team in 2007. 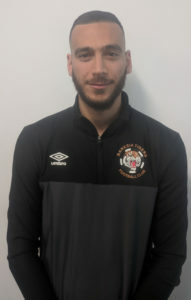 Mudrek has over 10 years of coaching experience at various clubs which include Banksia Tigers, Arncliffe Aurora and Connells Point & Belmore United. Mudrek has also coached at various football academies such as Sports Specific Industries and Australian Youth Football Institute. He currently holds a youth technical director role at Banksia Tigers. He enjoyed an excellent first season in this role where the U14 to U17 squads all played part in finals football with many of those teams winning premierships and minor premierships. Mudrek has developed under some high profile managers over the years, which include David Magrone, Aytek Genc, Manny Spanoudakis & Tomi Vidovic. He is looking to pass on that knowledge and experience onto the FFD youth, our future champions. Mudrek is also FFA qualified for Youth, Senior and Futsal & currently holds the FFA C License.